Click here for sample verses from the version by Holy Myrrhbearers. Contents: Psalms 1- 150. Additionally Ps 151. Canticles: 1. Song of Moses (Exod. 15) 2. same (Deuter. 32) 3. Song of Hanna (I Sam 2) 4. Song of Habakuk (Hab 3) 5. Song of Isaiah (Isa 26) 6. Song of Jonah (Jon 2) 7 & 8 Songs of the Three Young Men (Daniel) 9. Song of the Theotokos & Zachariah (Luk 1). Bibliography of the Sources of our Revision. Comments: This is a ringbook in Octavo with VIII & 168 pp. 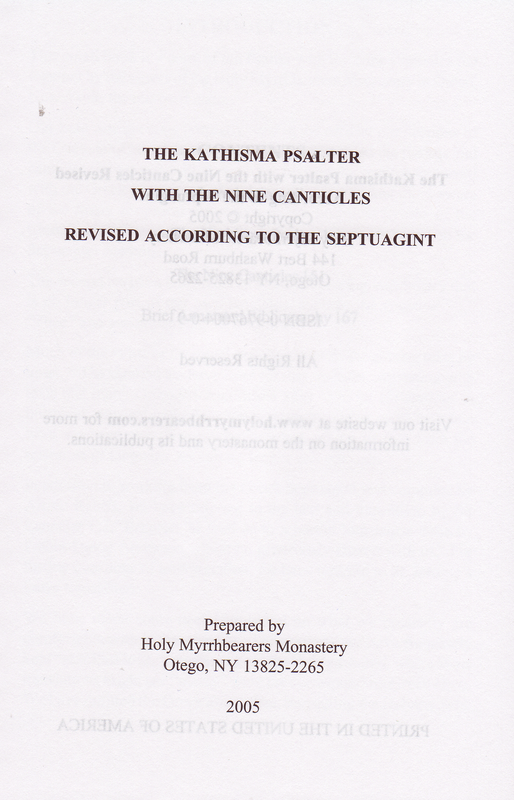 The sisters of the Holy Myrrhbearers wrote an Introduction dated Otego, NY, Spring 2005. 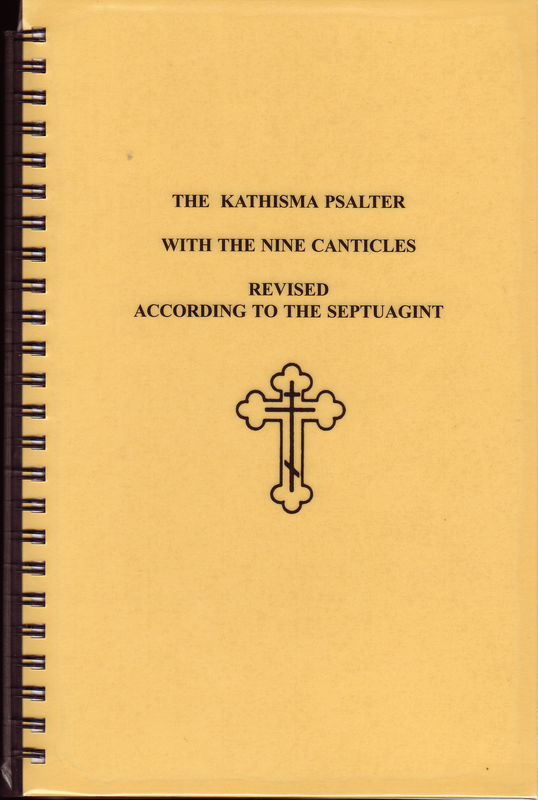 They write that this Psalter has been put together for their own use. 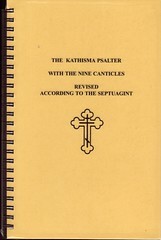 The base text is the one normally used in the official publications of the Orthodox Church in America; it was, however, revised according to the Septuagint (LXX), and, linguistically, old vocab, which restraints the language has been replaced. Alfred Rahlfs' and Sir Lancelot C. L. Brenton's LXX translations have been used as has David Anderson's partial one; furthermore Jerome's Vulgate. 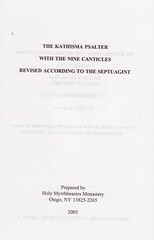 The Psalm headings have been translated but not the Greek "diapsalma" (=Hebr. "sela"). Both Hebrew and LXX numbering are indicated. Greek words as "unicorn", strange to modern readers, have not been changed. There are no verse markings given. The schedule of the Psalms for the Orthodox festival days is included.